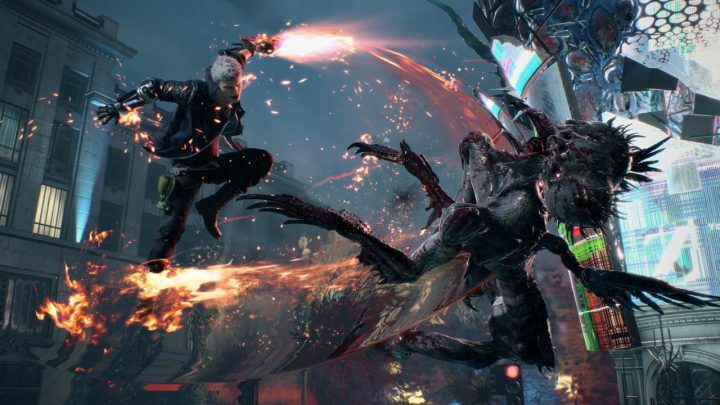 Capcom has announced at GDC 2019 that they have sold 2 million copies of their critically acclaimed newest title, Devil May Cry 5. DMC 5 is worth the praise as the game is one of the strongest entries in the series to date. From addicting gameplay, gorgeous graphics, and humorous and charming characters, how could anyone go wrong with picking up this game? If you’re still on the fence about the game, make sure to check out our Before You Buy review of the game right here! In related news, we here at Gameranx have been pumping out tons of DMC 5 content, from new tips and tricks, guides, and so much more. If you need help with something specific, or just looking for some easter eggs, make sure to check out here DMC 5 page right here! Devil May Cry 5 is now available for PS4, Xbox One, and PC. Did you pick up the latest title in the series? Let us know in the comments below!